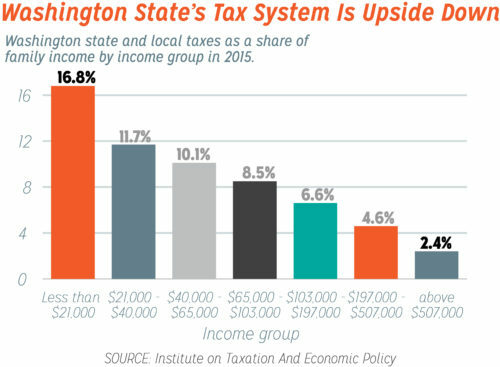 Since the release of the Washington State Tax Structure Study sixteen years ago, there’s been a lot of talk about fixing our upside down tax code, but not much action. Democrats in the Washington State Legislature hope to change that this session by tackling the problem from two different approaches. To make our tax code less regressive in the short term, Democratic legislators have proposed levying a capital gains excise tax on the wealthy, funding the Working Families Tax Credit, getting rid of tax exemptions not in the public interest, and creating a tax expenditure budget… all bills that NPI supports. Now, to tackle the problem over the long term, State Representatives Noel Frame and Gael Tarleton (both D-36th District) have introduced House Bill 2117. This legislation would create a task force to set Washington on a pathway to developing a credible, comprehensive, and polished plan to overhaul our unfair tax code. Frame and Tarleton each have a deep familiarity with the politics surrounding public finance. Both have served with nonprofit organizations devoted to overhauling Washington’s tax code. 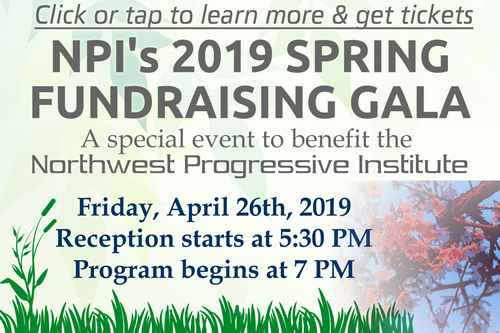 Tarleton is a founding boardmember of this organization, the Northwest Progressive Institute, and Frame is the former executive director of Progressive Majority Washington, which later became Amplify. The bill’s preamble tells the story of how Washington ended up with a tax code that requires those with the most to pay the least in taxes, while those with the least pay the most. It then specifies that a bipartisan workgroup with representatives from the executive branch shall be appointed and tasked with developing a comprehensive tax reform plan for consideration by the 2023 legislative session. Since Washington’s Legislature doesn’t meet year round, sessions tend to be dominated by budgeting and policymaking. There’s just not much time for long term planning or critical thinking about our state’s toughest, most difficult problems. And so those problems go unaddressed, year after year and biennium after biennium. HB 2117 seeks to break this cycle of inaction. If you read the bill, you’ll see the intent is not to simply authorize yet another study of a well known problem. Rather, it’s to create a team of leaders to develop, explore, and examine possible solutions for fair revenue on a set schedule. The bill gives the group a set of specific deadlines by which they must achieve their objectives. HB 2117 cannot be the extent of what the Legislature does to advance the cause of progressive tax reform this session. But it does represent a piece of the puzzle that has historically been missing… the long-term planning piece. We’re happy to support it. Kudos to Representatives Frame and Tarleton for putting it together.